This year FBLA members Loralei Carroll, Madie Stewart, and Emma Martinez chaired a community project that had an affect on all students in the school. 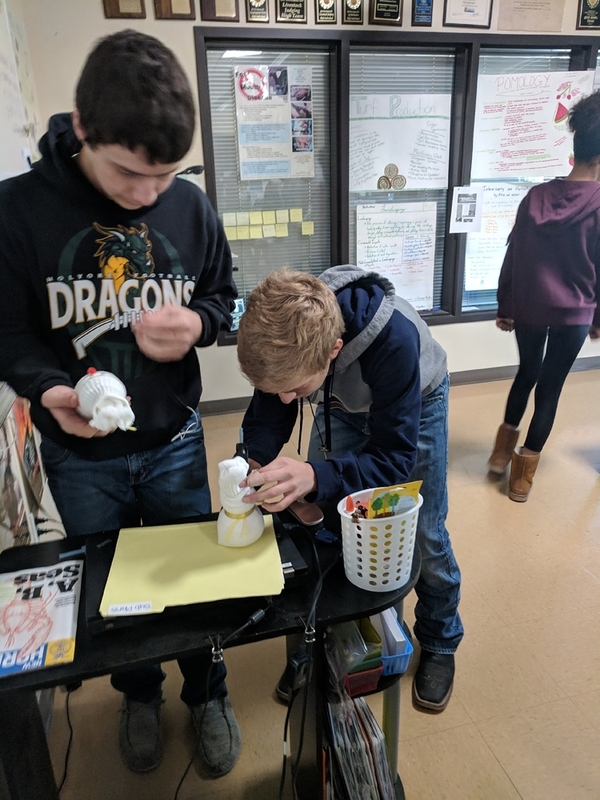 This project was the “Buddy System,” which paired Freshman with sixth graders, Sophomores with seventh graders, Juniors with eighth graders and Seniors with fifth graders. This allowed a variety of age groups to be able to communicate with one another and bond. They had many events to get to know one other. They learned what each other struggled in to what they are most passionate about. The first session, the committee decided to let the participants create crafts with one another. They each built a snowman out of a sock filled with rice and then decorated it. While they created the snowman, they were able to talk to one another and learn little things about each other. This included what they liked to do as a hobby, how many siblings they had, or something as simple as what candy they liked to eat. Many stories and facts about each other were shared and learned about in this session. Once they all got to know one another better, the committee created another time to reunite the buddies. This session consisted of the older students helping out the younger students with any questions they had over any subject in school. A lot of students did have questions and many of them were answered in a way that a younger student could understand and it helped them realize that it's not bad to have questions. This also allowed the younger students to connect more with their buddy and know that they can go to them with any problems. The final session’s purpose was to just be able to have fun with their buddies. To do so they decided to have the buddies sit with each other at lunch and have an hour just dedicated to playing board games and just be able to sit around and have fun with one another.